Those who have an interest in sculpting will have studied the works produced by some of the world’s top sculptors, both past, and present. 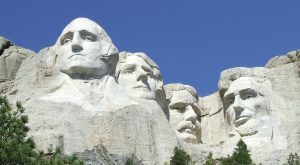 Here are just a few of the top names in the history of sculpting – artists that have had a profound influence on others, creating amazing works of art in stone, clay and other materials. The 15th-century artist Donatello was known for both painting and sculpting. He is considered to be the greatest sculptor at the time of the early Renaissance period. He worked with wood, stone, bronze and terra cotta and his works covered a wide range of subjects, infusing them with a touch of realism. No list of famous sculptors would be complete without mentioning Michelangelo. He worked in the 15th and 16th centuries. He managed to influence the art world a great deal, producing many wonderful paintings but he considered himself to be a sculptor first. He studied the human form and produced the ‘David’ statue that survives today, considered to be a priceless masterpiece. Bernini was a 17th century sculptor who brought new skills to the art form. He was considered to be a child prodigy and his other talents included the ability to write comedy. He was known for his fountains, some of which remain in place today, such as the one in the Piazza Navona in Rome. Rodin was a 19th century sculptor who followed very traditional, classical styles of sculpting. Rodin worked with clay and his work made him famous even in his own lifetime, unlike many other artists of the period. One of his most famous works is ‘The Thinker’. In the 20th century, the artist Constantin Brancusi became one of the leading influences on the development of sculpting. He was Romanian by birth but moved to Paris in 1904, studying under Rodin. He was not interested in fame and ensured that his work was always recognisable, avoiding abstract subjects.